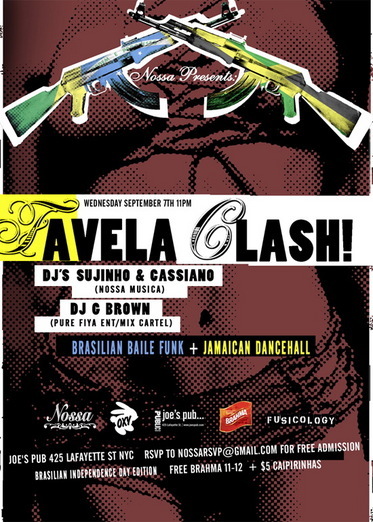 The first Favela Clash party this July was bonkers, so we're predictably psyched for the next edition, going down this Wednesday at Joe's Pub. DJs Sujinho (who's current fave selections are featured in this month's issue), Cassiano and G. Brown will be dropping Baile bangers and lighter-worthy dancehall joints. A must-attend.